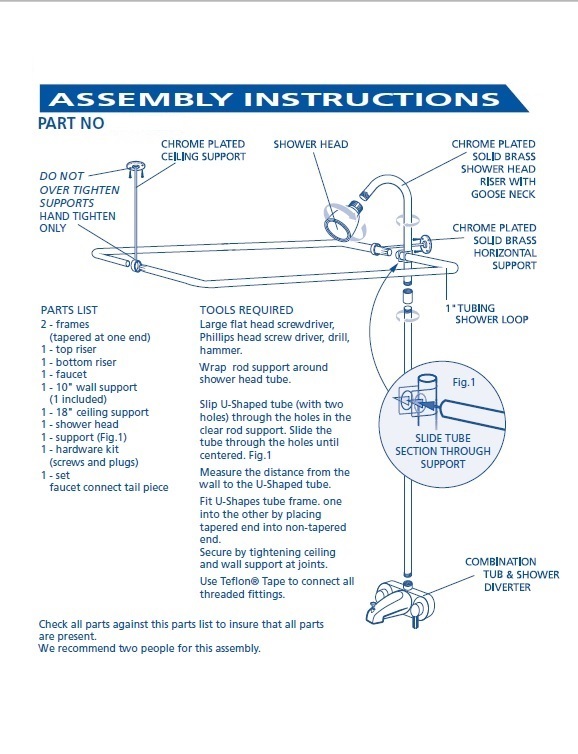 New add on shower set for your clawfoot tub in Chrome. This set includes 3 3/8" Center diverter faucet with 3/4" MIP Connections, brass construction chrome plate. A 61" two piece chrome riser with shower head. A 54" x 26" polished aluminum D style shower rod with a 24" Ceiling Support Rod Kit and pair of wall flanges. Also includes chrome support 36" cut to fit for the riser.